If you want to turn your Myrtle Beach vacation into a friendly scavenger hunt, then you will want try this during your next Myrtle Beach vacation. As a guest here at the Bay View Resort, your location couldn’t be any better. Right along the 1.2 miles of Boardwalk fun, oceanfront breezes and miles of sandy beaches, you have come to the right place for rest and relaxation from your busy day to day schedules. 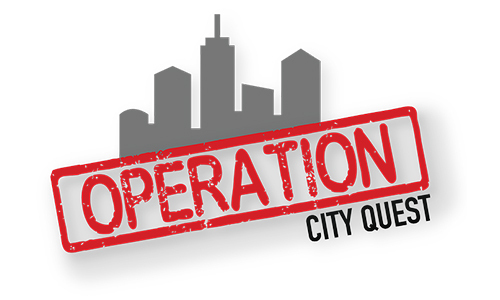 If you want to try something new, how about grab your smartphone and do a scavenger hunt through operation city quest. 2 – Make your reservation date and time. 3 – Download the app called GooseChase to your smartphone. 4 – Starting your quest – on the day and time of your reservation, you will go to the start location that you were sent in an email. You will call your remote guide to begin and your are off. 5 – Object of the scavenger hunt – finding objects – you will be asked to find about 140 items throughout your city. The more things you find, the more points you get. Along the way, you could be asked a trivia question or a challenge. Take pics, act silly and have fun! As you are playing the game, there is a leader board for that city, just fun to see where you are. This is something fun and exciting and a way to get to know Myrtle Beach. After enjoying the afternoon or evening doing your scavenger hunt, head back to Bay View Resort and rest and relax as you sit on your balcony and enjoy that well-deserved glass of wine.